Why did we do the above step i.e. why did we delete some lines of the inactive redo log file? The reason is we cannot corrupt the redo log file of the member whose status is CURRENT. Also since I want to explain what is the danger when you have only 1 member in the group and also about the risks of the command which we will be using to restart our database. Another question is since the status of the member whose redo log file we just corrupted is inactive, then how are we going to check or confirm whether the redo log file is actually corrupt or not and what impact it is going to have on our database? Keep repeating above two commands till the member of group 6 becomes CURRENT while status of other members become INACTIVE. But this is one of the most common errors you will get when learning database. So how are we going to know that our redo log file is corrupted and that is the actual reason why we cannot startup our database? It is the alert_admin (or alert_SID where SID stands for System Identifier. 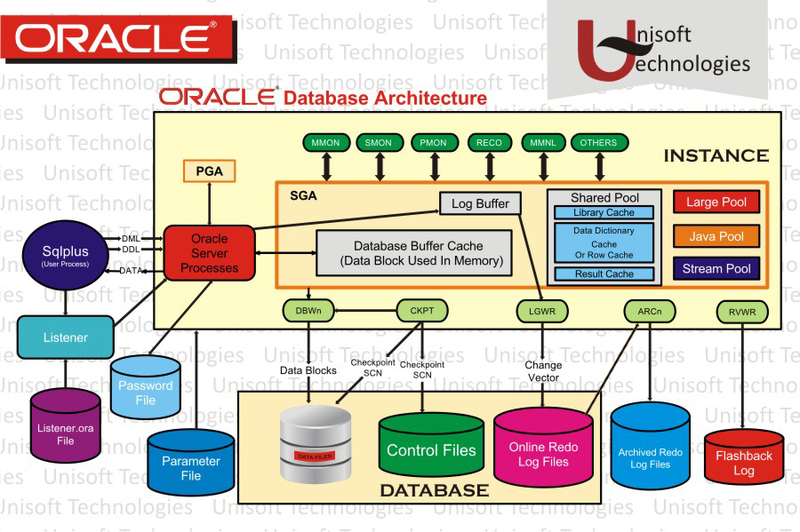 For example if your database name is orcl then the name will be alert_orcl) text document which records or logs everything that’s happening within your database. BUT WAIT!!!! Before running the above command let's first understand WHY this(above) particular command? The reason is: If the status of your redo log file is CURRENT then there is no archive log file created of that particular redo log file. Hence we cannot run ALTER DATABASE CLEAR LOGFILE. You can see that status of redo log files in group 2 is CURRENT (in 1st query) and a big NO in front of group 2(in 2nd query. Also displays the status, which is CURRENT). But then you will say "AHAHAHA I can change the status of group from CURRENT to INACTIVE by forcing a log switch and then drop the file". As you can see I have only one member in group 6 whose status is CURRENT. I have already explained and shown why we cannot drop redo log file when its status is CURRENT. As you can see I have forced the log switch and changed the status from CURRENT to INACTIVE. Now look and understand carefully what happens when I try to drop redo log file or member of group 6. It throws an error saying "cannot remove last log member" meaning you cannot drop redo log member if it is the only member remaining in the group. Then comes the next question: Can I drop the entire group? Or What happens if I drop the entire group? The answer to that is it will work but it’s not recommended. The reason being your redo log file of that group is corrupted so you are losing your data anyways. Also if you want the group back you will have recreate the group and add a redo log member thus increasing your own efforts. Step 1: Check the status of your redo log files. Step 2: Corrupt the redo log member of the inactive group and for this practical only choose the group which has only member in it. Looking at the error you can make a wild guess that you have deleted something in the redo log file thus causing the reduction in its size. As you can see database starts in MOUNT mode and then shows the error, which means you cannot start the database in OPEN mode. But you can start the database in MOUNT mode which is exactly what we need to run the required command. Step 5: Connect to sys since you have shut down the instance. It will connect to an idle instance. Your database has started in MOUNT mode. This is the complete command. The reason I have given GROUP 6 is because I have corrupted the redo log member of this group and no archive log of this redo log member is created since its status is ACTIVE. As you can see the status of the group which we have cleared is now UNUSED which is group 6 in this case. Now let’s run the same query but this time we will check sequence of the group member too. And as you can see the sequence of the UNUSED redo log group is 0. Step 8: Now we will run switch log file command to change the current status which is UNUSED. Now we will try to switch log file again. Thus we need the database to be in OPEN mode to execute the above command. As you can see the status of the redo log file of group 6 has now changed to CURRENT from UNUSED and we also have new sequence generated which is 2657. You will get a long list. Just scroll to the bottom till you see a certain sequence whose name is nothing but a blank space. In this case look for sequence# 2652. You will find a blank space before it. The reason for the blank space is that there was no archive log created of that particular log file and hence we had to run clear unarchived log file command. Now think carefully about what will happen if a situation arises where you are required to recover your database and restore it and you don’t have the backup after executing clear unarchived log file command? Your backup, restore and recovery will work fine till the sequence# 2651 but when it reaches sequence# 2652 there will be a big mess. 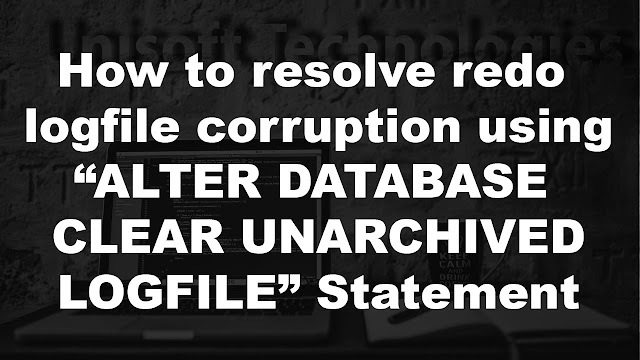 Since the redo log file wasn’t archived you will lose the data from that redo log file and we have seen earlier that we need redo log file for recovery in case of media failure. And in this case since we have no archive log of this redo log file we won’t be able to recover the database after sequence# 2651. If you have followed the above steps perfectly then you should be able to perform this practical without any problems.